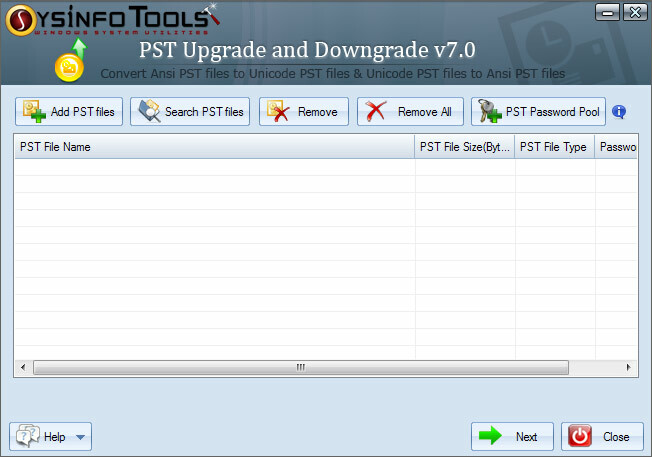 PST Upgrade and downgrade from SysInfoTools is an application to upgrade or degrade MS Outlook PST files. Using this tool user can easily convert ANSI PST file to UNICODE or UNICODE PST file to ANSI PST file. Easy to use with intelligently designed user interface for technical and non-technical users. No prior experience is required to use the software. Even a novice user can use this software without requiring any technical knowledge.